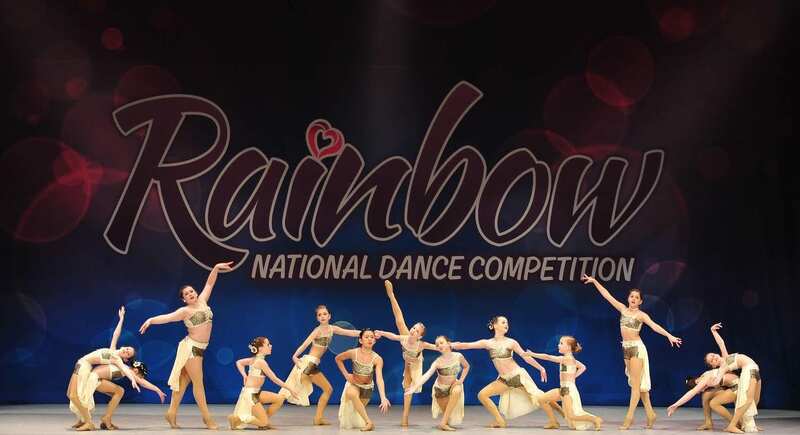 The Competitive Dance Group at the Beth Fowler School of Dance, with locations in St. Charles and Genoa, recently capped off its 2018 season in style, bringing home a number of awards from the Legacy National Dance Competition in the Wisconsin Dells in June. The BFSD competitive group received five First Place wins, in addition to scoring the “Best Overall Choreography Award,” out of nearly 1,500 dance routines which competed throughout the week-long competition. Judges awarded BFSD Choreographer and Instructor Brooke Fowler the Best Overall Choreography Award for the lyrical dance routine, “Try,” which was performed by BFSD’s Juniors dancers, ages 11-12. Brooke Fowler knew it would require a strong group of dancers to fully execute the powerful message and different dynamics of the song, and, under her direction, the dancers did not disappoint. This group of dancers also were selected to perform “Try” once more on the Legacy National Competition’s final day, during Legacy’s “Best of the Best: Showdown of the Legends” segment, and “Try” again took First Place overall. The Juniors group also was invited to compete their jazz dance “Word Up” in the Legacy “Showdown of the Legends,” and captured Second Place Overall, as well. “Word Up” was also choreographed by Brooke Fowler. Only 22 years old, Brooke Fowler has now received the “Best Choreography Award” six times in the past five years. She has choreographed a total of 16 group competitive dances for all ages, with 11 of those 16 dances securing First Place Overall awards. The remaining five group competitive dances received Second Place Overall awards, often finishing second only to another of her dance routines entered in the same category. The BFSD Teen Competitive Group, including dancers ages 13-15, also took First Place Overall at the 2018 Legacy Nationals with their dance routine, “Stitches,” also choreographed by Brooke Fowler. The routine beat out almost 70 competing dance routines for the honor. Dancer Hannah Fugiel, of Elgin, of the BFSD Teen Group also took First Place for Soloists, besting almost 80 other soloists, and dancers Brooke Baurer, of Geneva; Mia Herman, of St. Charles; and Fugiel, also were awarded First Place for Duets and Trios, out of 50 duet and trio performances. Both routines performed by those dancers were choreographed by Brooke Fowler. The secret to the success of the BFSD program is not only great choreographers, but also the ballet and technical training the school offers with a consistent staff that works with the dancers from their earliest years to the professional and competitive levels, said BFSD Artistic Director Beth Fowler. BFSD’s excellent reputation has earned them an invitation to train the St Charles East High School Dance Team with Technique classes. The BFSD staff is excited to start working with them this fall! In the summer, BFSD offers dancers extra instruction and skill development assistance through the school’s one- and two-week Summer Programs, which include special Master Classes. Auditions for the school’s Beth Fowler Dance Company and the competitive dance teams are also held during the summer. For more information, visit www.BethFowlerSchoolofDance.com, or call the St. Charles location at 630-945-3344 or the Genoa location at 815-784-5658.
season by capturing numerous awards, including multiple first and second place finishes at the 2018 Legacy National Dance Competition in June at the Wisconsin Dells. BFSD dancers pictured above for “Try” which won 1 st place at Regionals, Nationals, and at the Nationals Final Showdown as well “Best Overall Choreography Award,” out of nearly 1,500 dance routines which competed throughout the week-long competition. left to right: Brooke Hall, Maylin Wang, Ellie Books, Abbie Andrews, Brooke Baurer, Katelyn Ventura , Hannah Fugiel, , Emily Belzey, Olivia Brown, Reegan Debarba, Mia Herman, Michelle Wang, Cora Mascheri.